Following yesterday's wind-blown dress for Pretty Polly lingerie, the outdoor medium continues to impress with a recent Saatchi Saatchi Switzerland campaign for Swiss electric utility Groupe E. Most people know everything runs on electricity which, for an electric utility, can be a problem. After all, when was the last time you gave a thought to the name of the company that delivers your electricity? 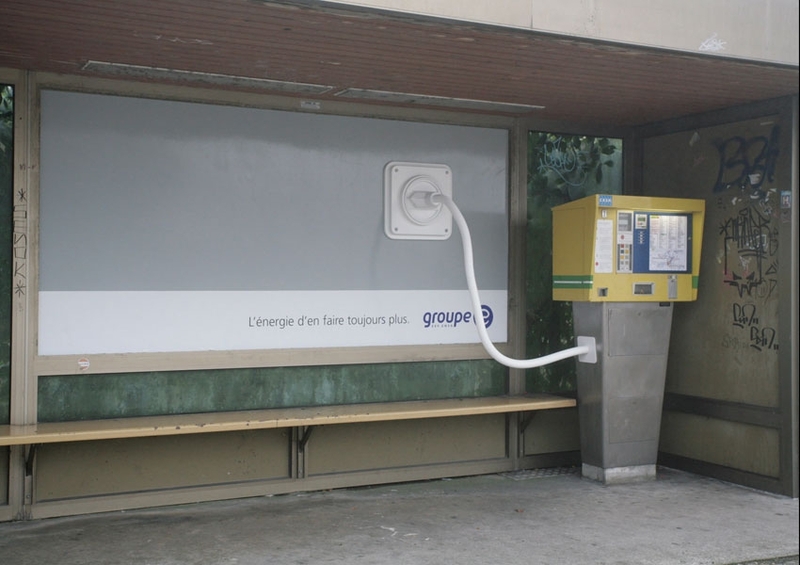 This campaign works towards highlighting Groupe E and to remind people electricity, though ubiquitous, should never be taken for granted. See all the creative here.